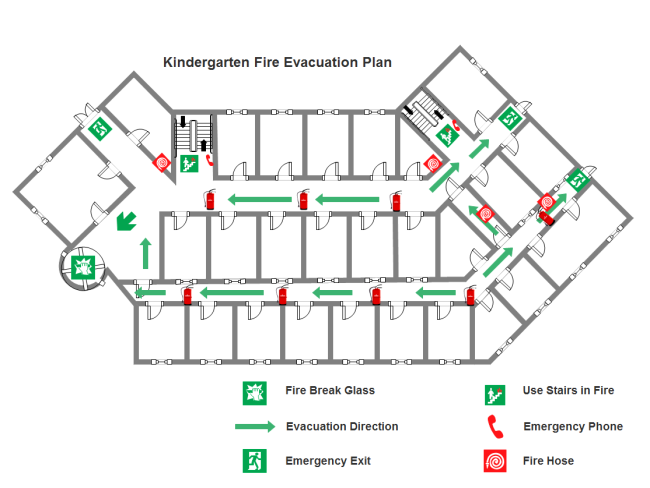 A sample of supermarket fire escape plan drawn with Edraw is shown here. 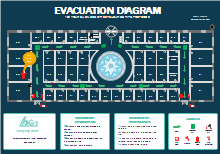 Everyone can download and use this easily customizable template to create their own supermarket fire escape plans. 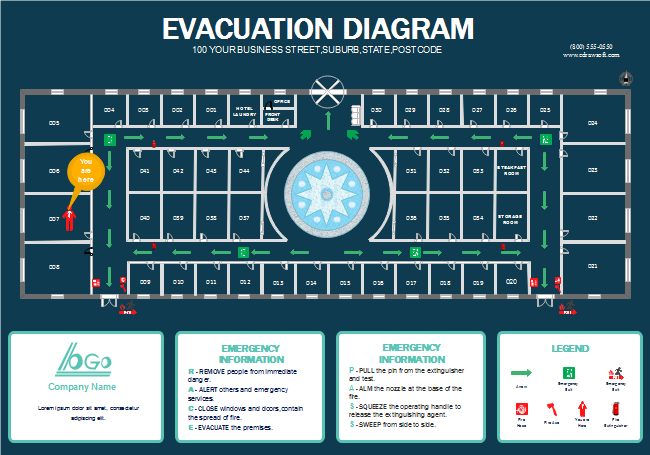 You can save tons of time to create great supermarket fire escape plans by starting from the existing template and using abundant built-in fire escape plan symbols next to the canvas. The drag and drop interface allows even novice users to gain professional results. Download and modify this template for your own use. 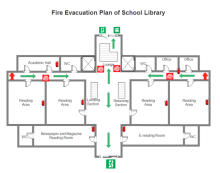 Or you can also explore and free download more Building Plan Examples, including Examples of Home Plan, Fire Escape Plan, Office Layout, Electrical and Telecom Plan. 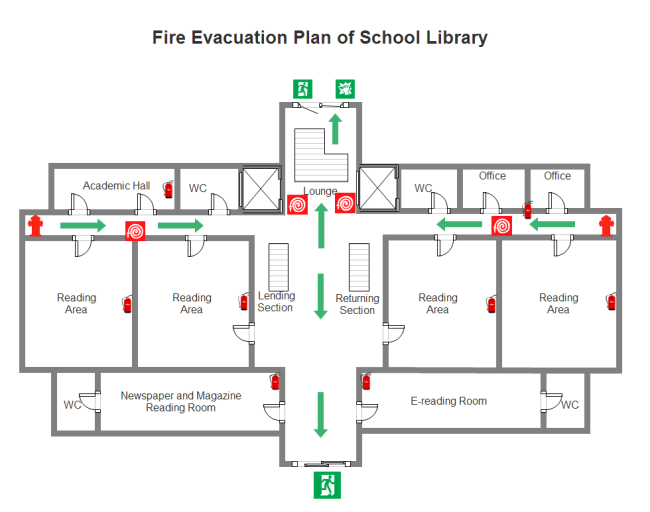 More examples are provided to show the great drawing ability Edraw has in creating fire escape plan. You can download these examples to view clearer images or re-edit the plan. 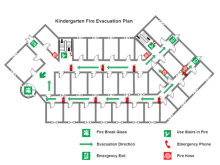 Discover why Edraw is an excellent program to create supermarket fire escape plan. Try Edraw FREE.